The Oxford dictionary defines a steam engine as “An engine that uses the expansion or rapid condensation of steam to generate power” but delve a little deeper and the definition becomes more complex. Fans of the old British comedy sitcom “Only Fools and Horses” will probably be familiar with Trigger’s Broom. For those of you that this means nothing to you, it refers to a character, Trigger (played by the late Roger Lloyd-Pack) who was a road-sweeper. He claimed and was given an award for having the same broom for twenty years, although it turns out it had had 17 new heads and 14 new handles! Comedy has a way of making philosophical concepts simple and understandable and so the BBC’s Only Fools and Horses dealt with what is known as the Theseus’ paradox. The story behind Triggers Broom is a paradox from Ancient Greece Legend concerning the ship of Theseus. The Legend tells of how the ship was preserved by Athenians who replaced rotten timbers with stronger new timbers. This raised a question as to whether the Athenians were preserving the ship by keeping it in as-new condition or whether removing the old timbers changed the ships identity. When preservation of heritage is discussed, this paradox is often the core of debates as there is rarely a common agreement as to what preservation is supposed to do and this is particularly the case with heritage machinery. Should one keep it working (which means almost any and every part will be replaced by new or reconditioned parts eventually) or do you shut it away so that all the original parts are left as-is? A classic example of this debate is Ex-LMS Princess Coronation class 46235 City of Birmingham. This locomotive has never run since preservation so that it is kept in it’s genuine 1960’s condition at Birmingham’s Thinktank museum. However, there are many people who would dearly love to see it run again. However in doing so, )and becoming the machine it was designed for), it would need a number of new parts that would make it no longer the same. Going back to the point in discussion – the definition of a steam engine – there are many repercussions of the Theseus paradox that can be quite confusing to many. The picture of the top of this blog post shows the last remaining Southern N15 class, 777 Sir Lamiel. 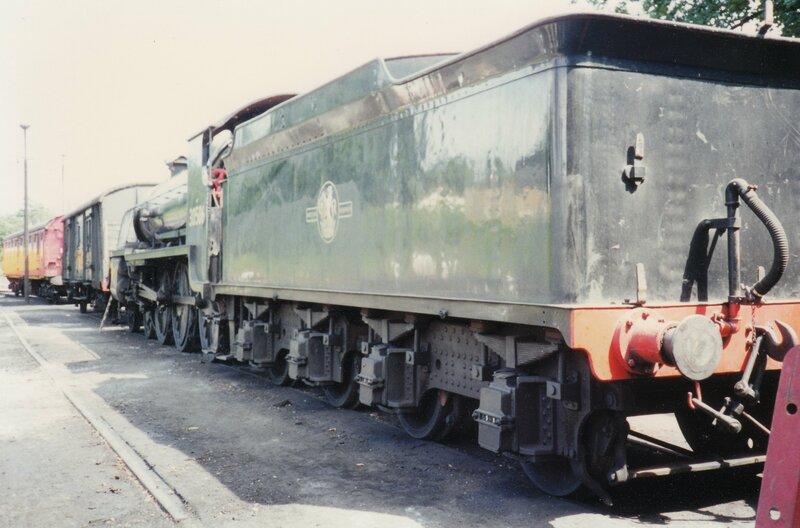 Despite this being the case, below are two boilers to be found on the Watercress Line (in Ropley yard) that once belonged to N15’s 799 Sir Ironside (on the left) and the other to 451 Sir Lamorak. Neither of these locomotives technically exist yet here is a lot of metal that is contrary to this! There is a reasoning and logic behind this. A locomotive is identified and therefore defined by its frames, not its boiler. 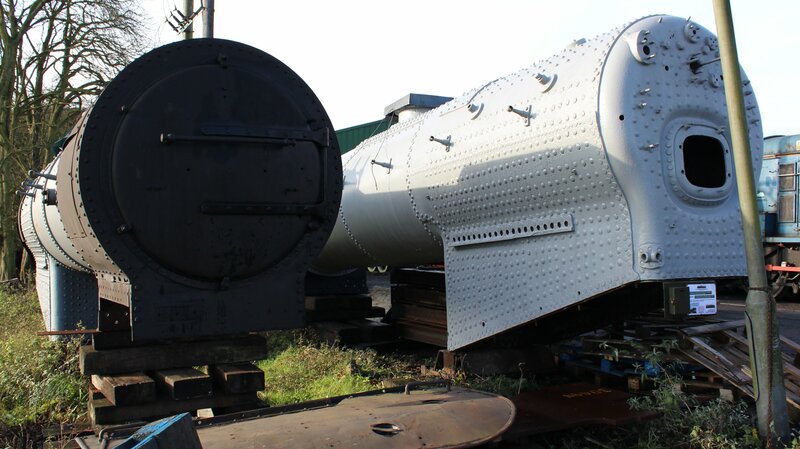 The two boilers pictured are identical to those used in Urie’s S15 class design and are destined to be used by 499 (that will be restored in LSWR guise) and 506 (to be restored in late BR guise, as pictured below.) 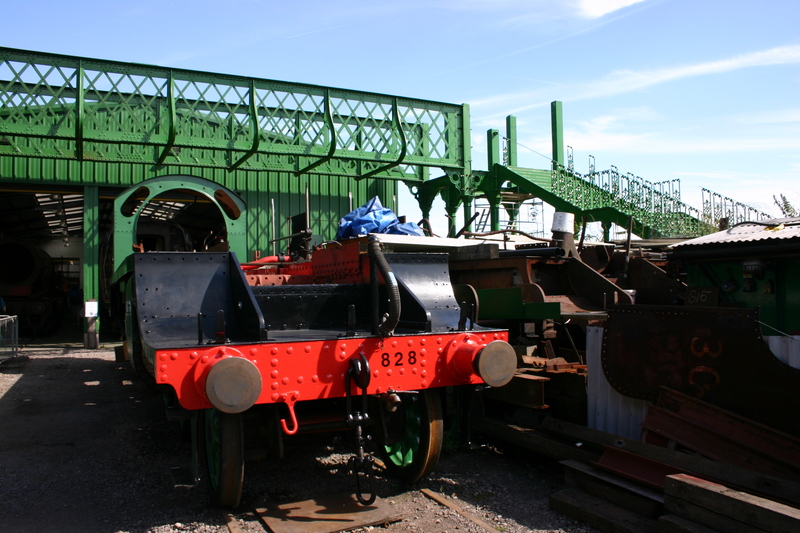 499 and 506 are owned and being overhauled/restored by their owners the Urie Locomotive Society (click here to visit their website.) They are two of three S15 class being restored at Ropley, the third being 828 Harry A Frith owned by the Eastleigh Railway 71A Society (click here to go to their website.) 828 will also have a boiler used by other locomotives (including N15 class.) The picture below shows 828’s frames, the items that define its existence. Of course the S15/N15 parts interchangeability are a tiny part of the top of the iceberg when it comes locomotives exchanging parts. Another example was published earlier this year by the National Railway Museum blog who put together an excellent piece on A4 boilers (click here to read.) The GWR in particular were famous for standardising their parts and swapping them between different locomotive classes. Indeed, almost every steam engine will have a mixture parts, some reconditioned original parts, some from other locomotives and some new. Look closely and you’ll see lots of examples. 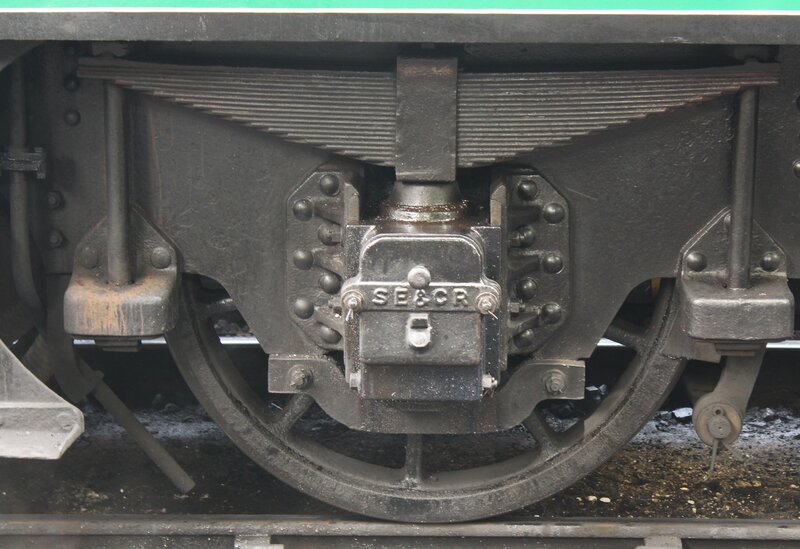 Another example I found in Ropley was one of the axle boxes of schools class 925 Cheltenham’s tender. These were clearly the same design used by the South Eastern and Chatham Railway (SE&CR) as evidenced by the picture below. Of course the SE&CR had been amalgamated into the Southern Railway long before this locomotive was built and so this part is not original! It’s interesting to think that many parts of locomotives that are considered long-dead and scrapped are alive and well in surviving steam engines. On the other side of the coin, it can also be argued that many steam engines are no longer existing if they’ve substantially had replacement parts, particularly the frames! Indeed 4472 Flying Scotsman has often been highlighted as having most of its original parts (including the frames) replaced. Does this mean it no longer exists? In my opinion the answer is a resounding no. My view is that heritage is by its definition a recreation of the past and to do that effectively (especially with working machinery) you need to replace parts to keep it alive. It is for this reason that I count new build 60163 Tornado as heritage as it is largely built to Peppercorn’s original A1 class design. 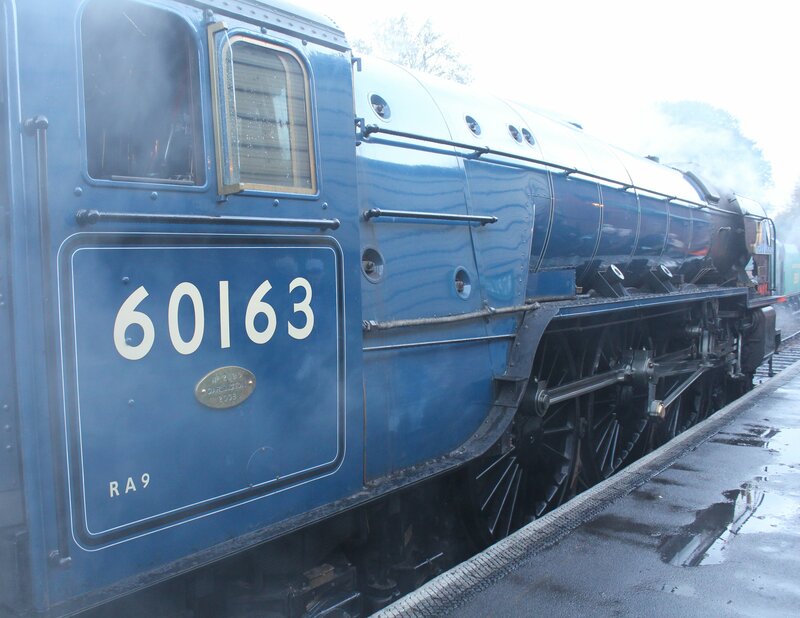 As for the definition of a steam engine, perhaps we shouldn’t complicate the Oxford dictionary definition! We can however wonder at how complex it is to engineer and keep alive a working steam engine. Needless to say, I am very excited by the restoration of the three S15 class locomotives and the use of N15 parts only reflects how resourceful the railway companies were when they developed these products and that same resourceful nature is applied by volunteers who work so hard to keep these locomotives running. 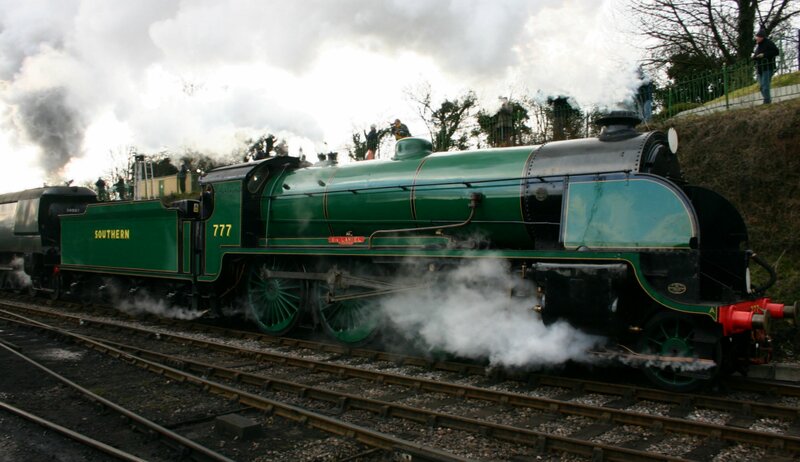 Please check out and support both the Urie Locomotive Society (click here) and the Eastleigh Railway 71A Society ( click here.) Thanks for reading! Surely, realistically, the purpose of preservation in the case of such things can only be to have a physical representation of the artefact whether working or not. Wear and tear and natural degradation will occur anyway. If it is necessary to replace parts, however many, to allow something to still operate/exist then surely that isn’t a hang-able offence? Otherwise we would lose the ability to enjoy the physical experience of running all sorts of machines or still having beautiful old buildings to admire. It may seem nostalgically unfortunate, but it’s not the end of the world……. I find it interesting to ponder whether the line that exists as to whether a loco can be said to exist or not is consistent, but indeed in many respects it doesn’t matter that much! The important thing is that now as we approach 2015 we still have so many incredible representations of working heritage rail traction. I very much agree, as nothing lasts forever, least of all machinery parts. A working machine is almost always the best representation of a steam engine and if that means new parts or even a new build, then so be it! If a locomotive is rebuilt to the original specifications set by the design engineer/architect, it is more of a case of preserving the Class, then that of the particular locomotive number. Many parts were exchanged during their running life of individual locomotives, parts had to be swapped in times of need and if they weren’t, the railway companies wouldn’t have the locomotive to pull their trains. Everything is built with spare parts in mind. Take your own car for example. Do you drive an original model or has the alternator,wheels, panels, windscreen or exhaust been replaced. Does this make it an original model ? ?